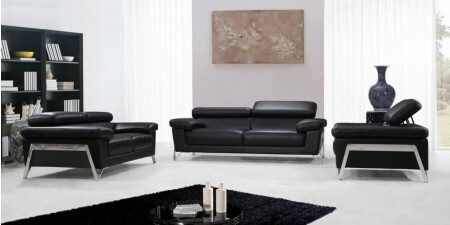 Loveseat: W72" x D41" x H28/37"
Encore living room set in black genuine leather bring sleek modern style to any room. Made in Italy by Divani Casa this modern collection includes sofa, loveseat and chair. Adjustable headrests and comfortable seating completed by chrome finish stainless steel legs and frame.